Definition: An infection of the cornea caused by the herpes simplex virus (HSV). 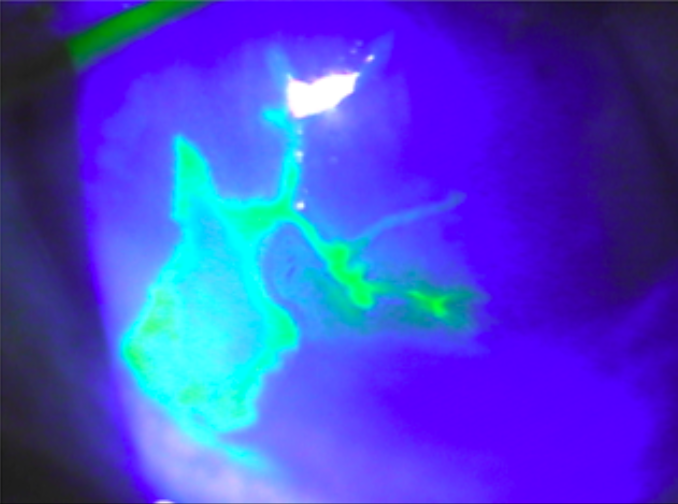 Sequelae: Recurrent HSV keratitis can cause corneal scarring, ulceration, and perforation, ultimately leading toastigmatism and permanent vision loss. 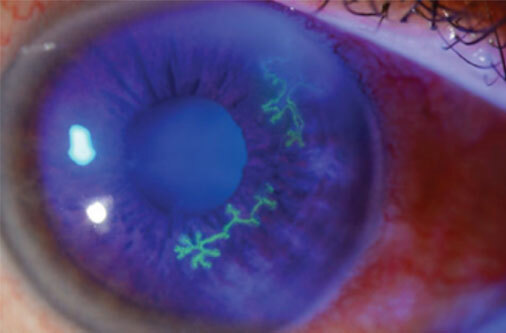 The diagnosis of HSV keratitis is based on clinical eye exam. Most cases of HSV epithelial keratitis resolve spontaneously within 3 weeks. 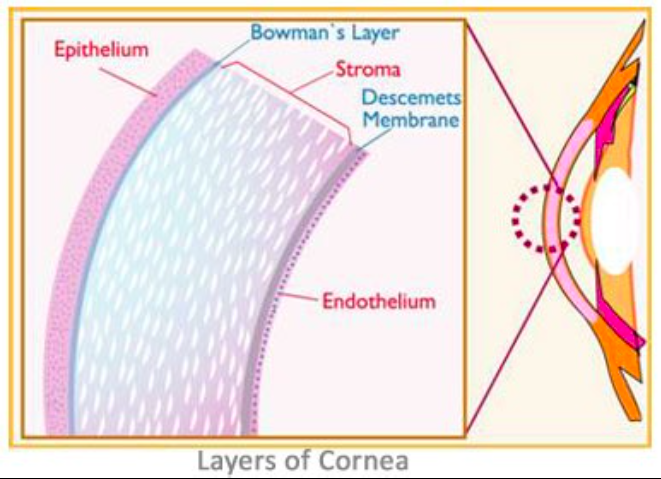 However, the American Academy of Ophthalmology recommends treatment of epithelial keratitis to prevent recurrence and progression to stromal or endothelial keratitis. Thank you for the clear explanation and outline of Herpes Keratitis. I enjoyed reading your article. I am also writing to you to ask for your kind permission to use the picture of an dendritic corneal ulcer for my Ophthalmic Nursing essay. Your early response to this e mail would be very much appreciated as the essay submission is due in 3 weeks time. You would have to ask them for permission.